We all have our favorite automobiles from the golden age of muscle cars, and these cars are classics for a reason. However, it can never hurt to expand your horizons outside of the norm; heck, maybe you’ll find a new ride to admire. This list will explore the rare, underrated, and unusual in the muscle car world, the ones that deserve attention the most. 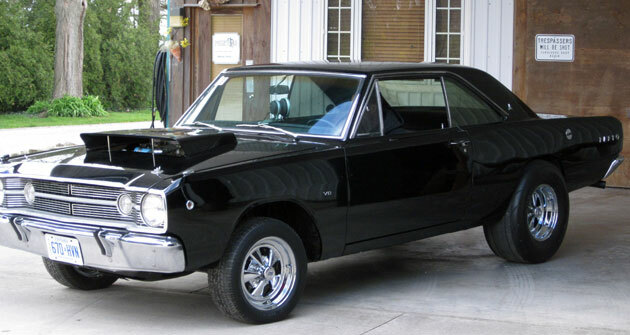 This car is a variant of the original Dodge Dart, which was made as a street-legal dragster. The Hemi Dart consolidated the high-performance engine and speed into a smaller frame. It was reported that only 80 of this model were built, and they came with a disclaimer that the car was not intended for street use. Essentially a prototype for the 1964 1/2 Mustangs that were made a year later, the Sprint didn’t sell incredibly well, as it was overshadowed by Ford‘s other big releases in the 60’s. It was, however, the only first-gen Falcon with a V8 option, which makes it a big deal to collectors. Additionally, just over 10,000 of these cars were ever produced. Aimed for sales to the high-performance racer crowd, the Rebel Machine was one mean car. Only 2,326 of these were built before the Machine label was passed onto a new line of cars, but real fanatics still keep a place for the Rebel Machine in their hearts. The post 3 Great Retro Rides You’ve Never Even Heard Of appeared first on Muscle Car Fan.